Ruy Blas is a tragic drama by Victor Hugo. The scene is Madrid; the time 1699, during the reign of Charles II. Ruy Blas, an indentured commoner (and a poet), dares to love the Queen, Maria de Neubourg. The story centers around a practical joke played on the queen, by Don Salluste de Bazan, in revenge for being scorned by her. Henri Manuel (1874 – 1947 was a Parisian photographer who served as the official photographer of the French government from 1914 to 1944. In 1900, Manuel opened a portrait studio in Paris with his brother Gaston, which specialised in portraitphotography. Manuel quickly became renowned as a photographer of people from the worlds of politics, art and sports, as well as a photographer of art and architecture. Soon his portraits were used by news agencies, and in 1910 Manuel’s studio began providing a commercial service to news agencies for photographs known as “l’Agence universelle de reportage Henri Manuel”. 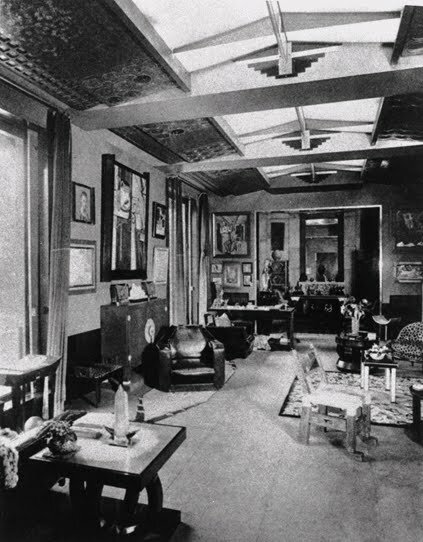 The studio became the largest photographic studio in Paris and a leading centre where young aspiring photographers such as Thérèse Bonney might go to work. And Sarah* – in dream I find them all! * Rostand’s play L’Aiglon concerns the unhappy life of the Duke of Reichstadt, the son of Napoleon I and Marie Louise, lived under the surveillance of Metternich at the Schönbrunn Palace. 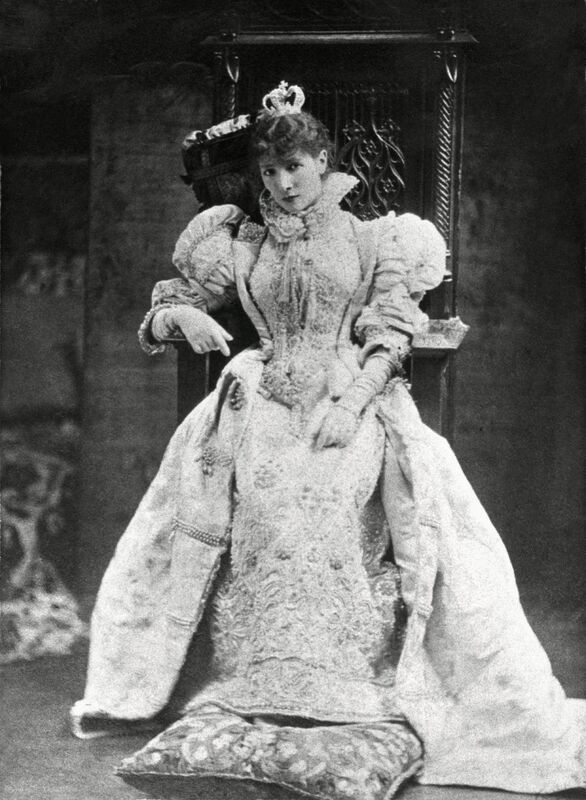 The drama was produced, on the 15th March 1900, by Sarah Bernhardt, at her own theatre, she herself playing the part of the Duke. Jacques Doucet (1853–1929) was a French fashion designer and art collector. He is known for his elegant dresses, made with flimsy translucent materials in superimposing pastel colors. His clothes were of perfect taste and luxury, his name the only one equalled with Worth. 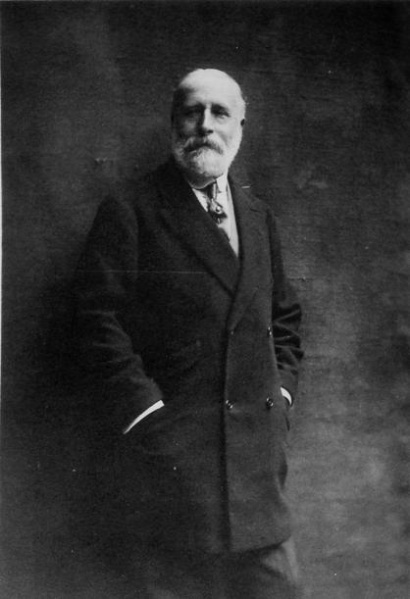 Jacques Doucet was born in Paris in 1853 to a prosperous family whose lingerie and fine linens business, Doucet Lingerie, had flourushed in the Rue de la Paix since 1816. In 1871 Doucet opened a salon selling ladies’ apparel. 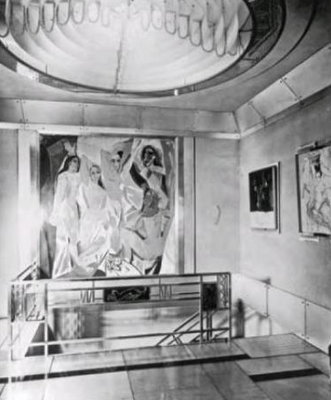 His most original designs were those he created for actresses of the time. 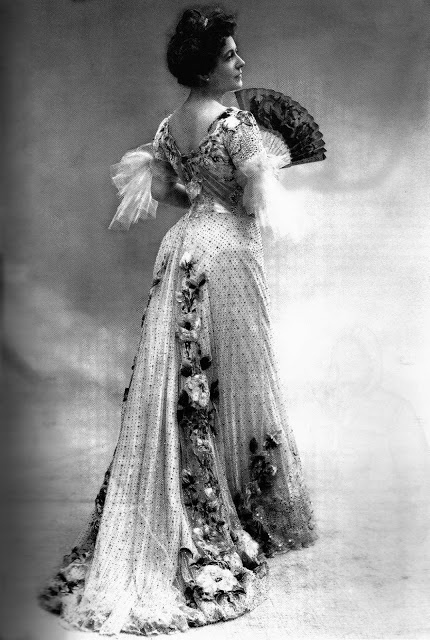 Cecile Sorel, Rejane and Sarah Bernhardt (he designed the famous white costume she wore in L’Aiglon) all wore his outfits, both on and off the stage. For them he reserved a particular style, one which consisted of frills, sinuous curving lines and lace ruffles the colors of faded flowers. 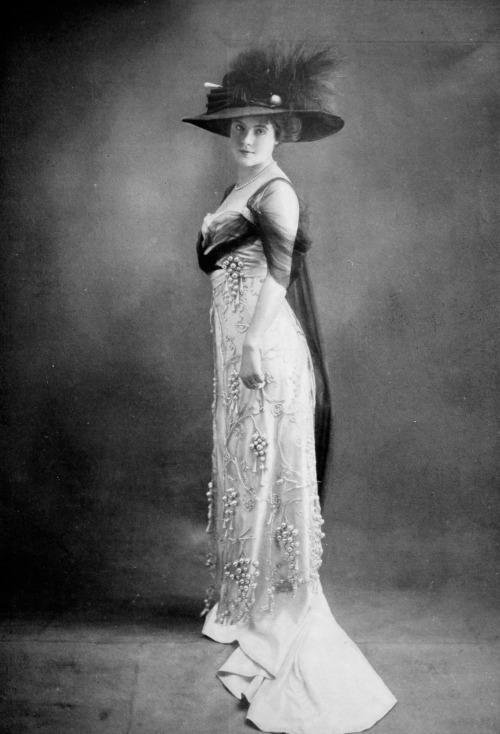 Doucet was a designer of taste and discrimination who valued dignity and luxury above novelty and practicality, and gradually faded from popularity during the 1920s. Nadar was the pseudonym of Gaspard-Félix Tournachon (1820 – 1910), a French photographer, caricaturist, journalist, novelist, and balloonist. 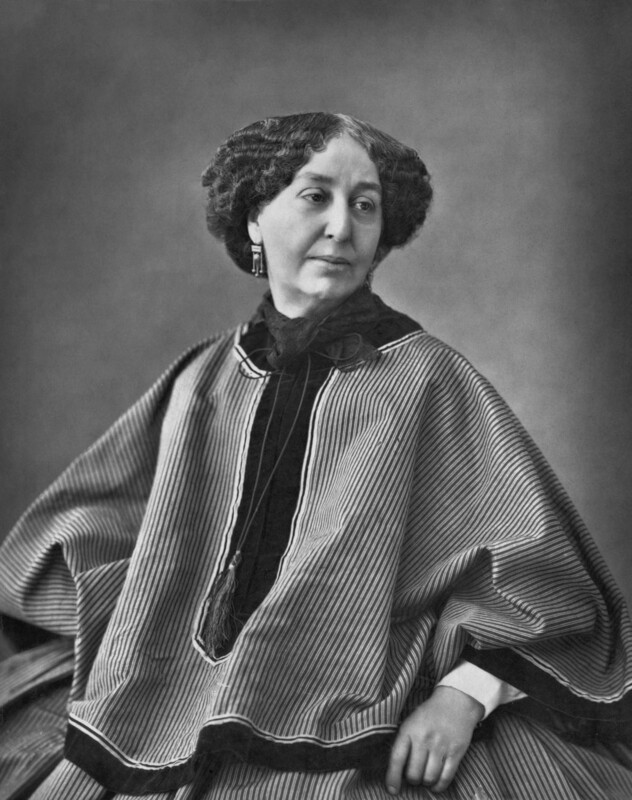 Nadar was born in April 1820 in Paris (though some sources state Lyon). He took his first photographs in 1853 and in 1858 became the first person to take aerial photographs. He also pioneered the use of artificial lighting in photography, working in the catacombs of Paris and later became the number one portrait photographer for the French elite. In April 1874, he lent his photo studio to a group of painters, thus making the first exhibition of the Impressionists possible. Nadar died in 1910, aged 89. He was buried in Père Lachaise Cemetery in Paris. Today, examples of Nadar’s photographic portraits are held by many of the great national collections of photographs. 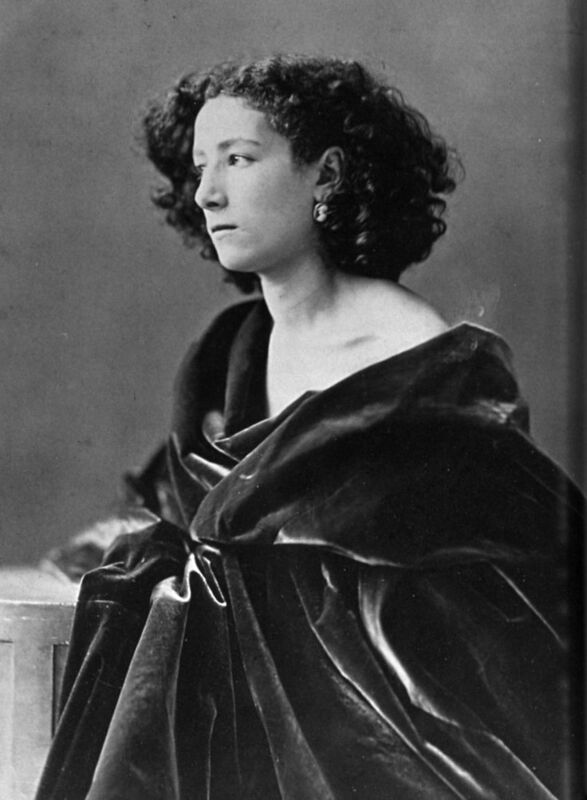 Parisian actress Sarah Bernhardt (1844-1923) has been reffered to as “the most famous actress the world has ever known”. 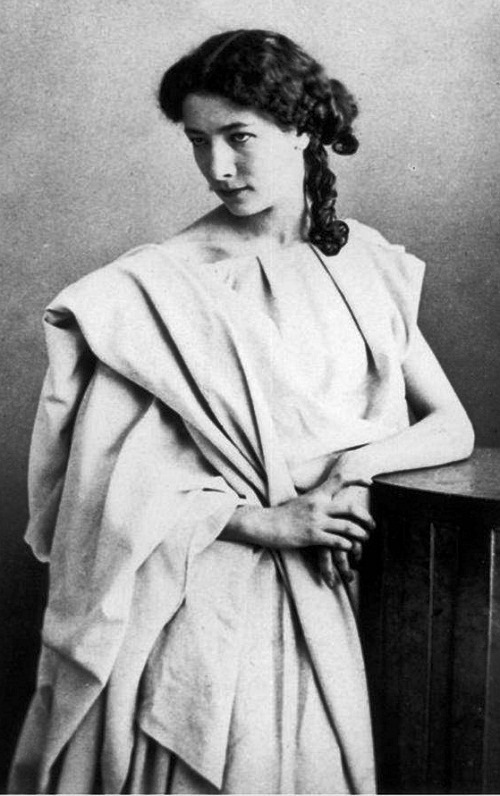 Her 1874 debut in the tragedy Iphigénie cemented her importance as a stage actress and launched what would become a career lasting six decades. 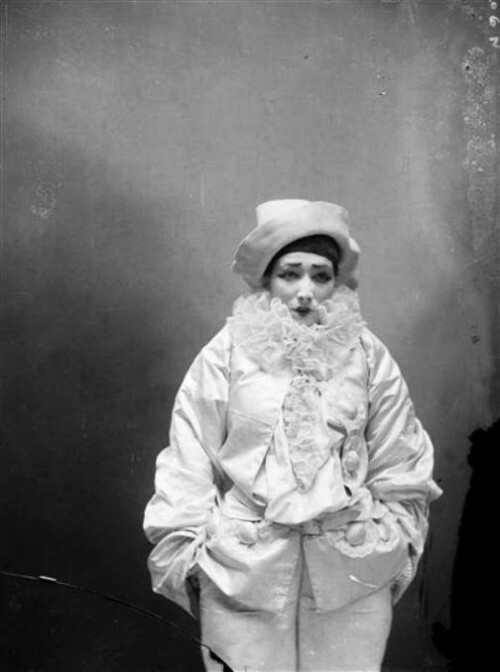 But the “The Divine Sarah” was not only known as the greatest French actress, she was also painted a true eccentric, something which contributed to her fame as much as her acting talent did. And it is true that her off-stage life was often just as harrowing as that of the characters she portrayed, with frequent bouts of physical ailments, financial difficulties, and numerous love affairs. Although, much has been written about her life and work, there is still much uncertainty because of her tendency to exaggerate and distort. She was born Henriette-Rosine Bernard and was the illegitimate daughter of Julie Bernard, a Dutch courtesan who had established herself in Paris (the identity of her father is uncertain). Her mother had little time or inclination to raise a young child in the social whirl of the Paris salon set. 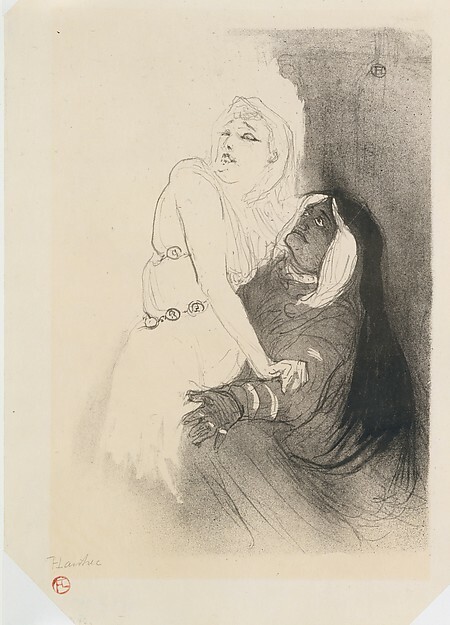 After a tumultuous childhood, Bernhardt was ready to commit herself to a religious life when a place was secured for her to study acting in the Paris Conservatoire (1859 to 1862). 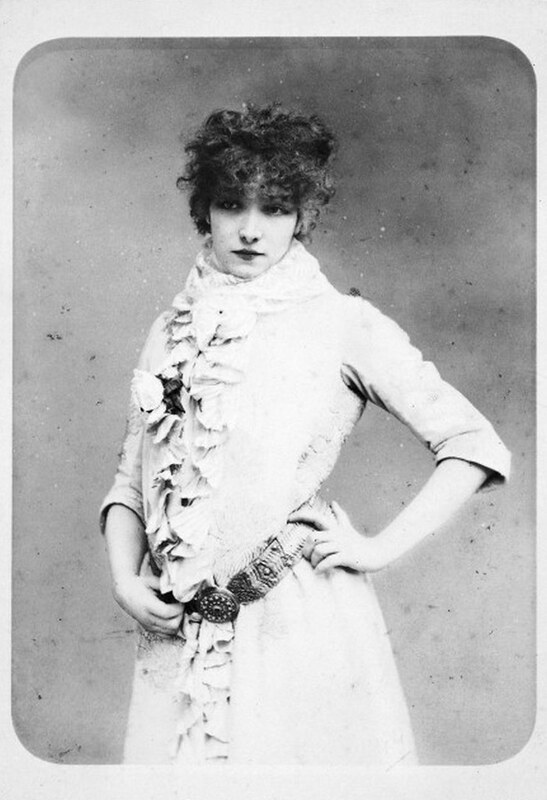 Bernhardt’s stage career started in 1862 while she was a student. One of her mother’s lovers, a half brother of Napoleon III, arranged for Bernhardt to gain entry into the French national theater company. 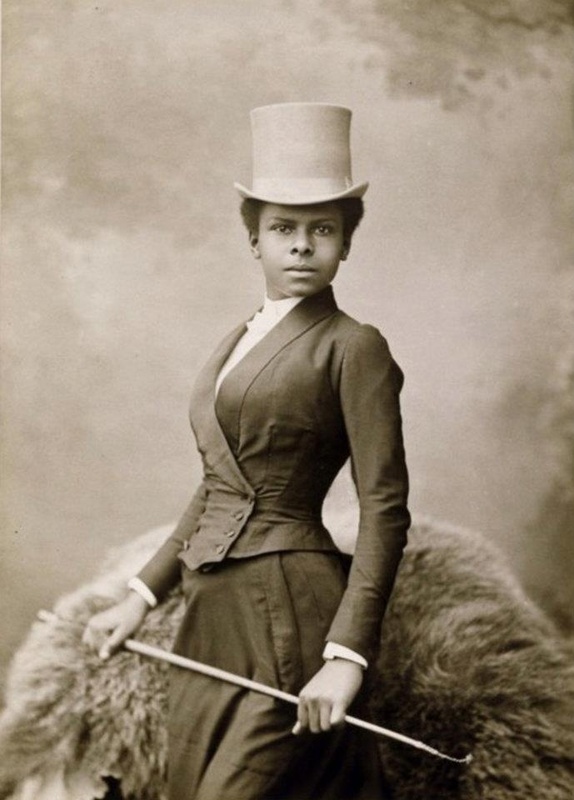 However, she was expelled and resumed the life of courtesan to which her mother had introduced her at a young age, and made considerable money during that period (1862-65). 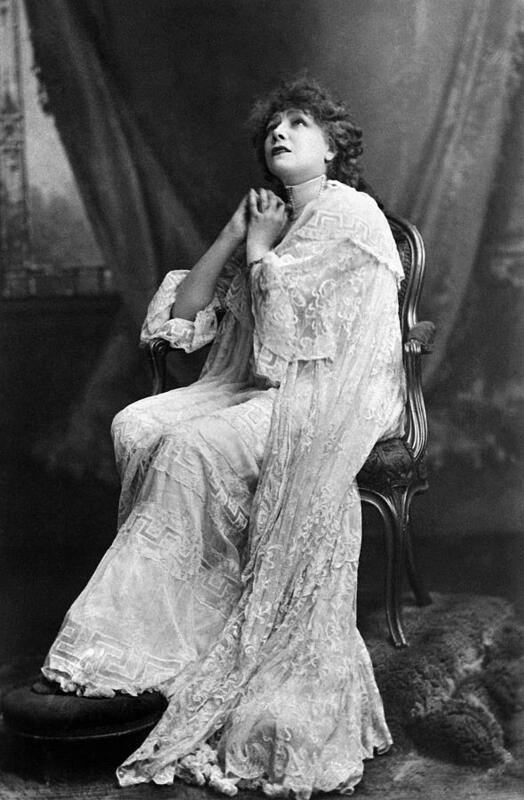 During this time she acquired her famous coffin, in which she often slept in lieu of a bed – claiming that doing so helped her understand her many tragic roles. 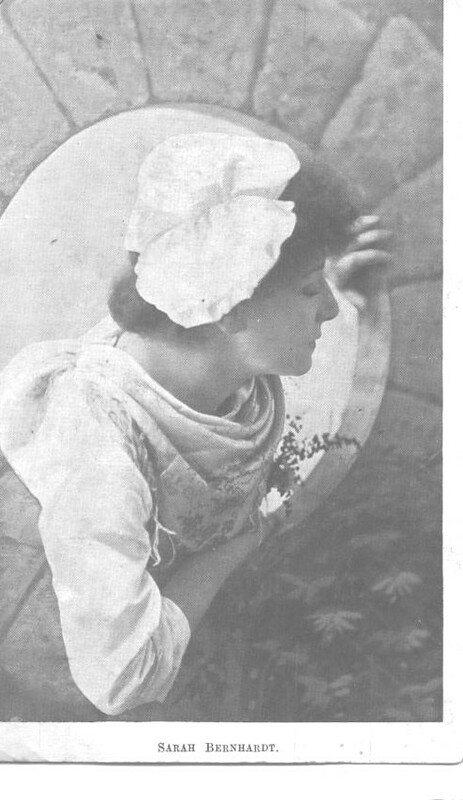 A widely circulated photo showed a peaceful Bernhardt lying in the coffin, with her eyes closed and draped with flowers. This no doubt fuelled the publics´ curiosity. 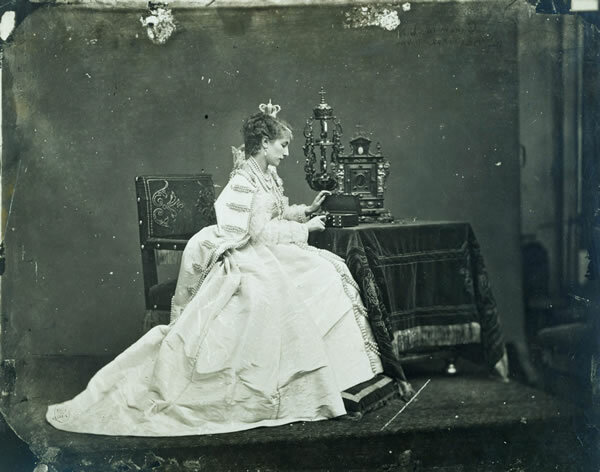 In Belgium she became the mistress of Henri, Prince de Ligne, and gave birth to their son, Maurice, in 1864. After Maurice’s birth, the Prince proposed marriage, but his family forbade it and persuaded Bernhardt to refuse and end their relationship. Later in life she married Greek-born actor Aristides Damala in London in 1882, but the marriage, which legally endured until Damala’s death in 1889 at age of 34, quickly collapsed, largely due to Damala’s dependence on morphine. 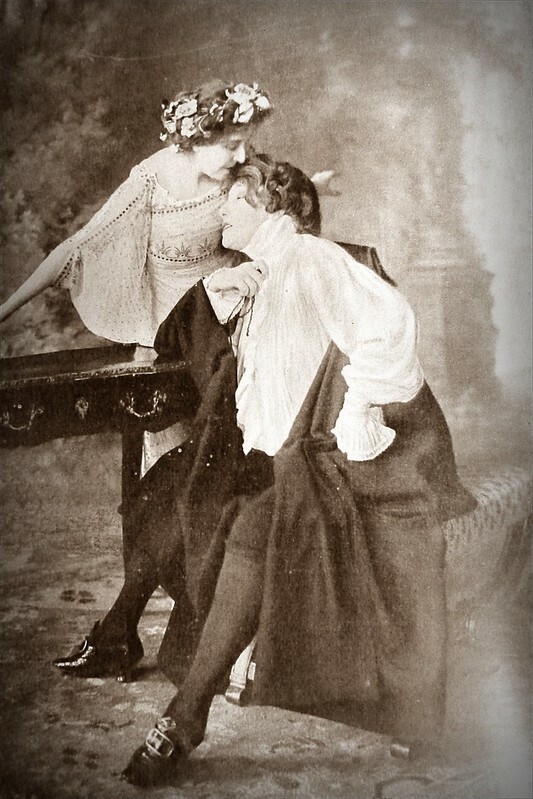 During the later years of this marriage, Bernhardt was said to have been involved in an affair with the future King King Edward VII while he was still the Prince of Wales. Her lifestyle was always flamboyant. Bernhardt not only sometimes slept in a coffin, but even liked to accessorise with a dead, stuffed bat. 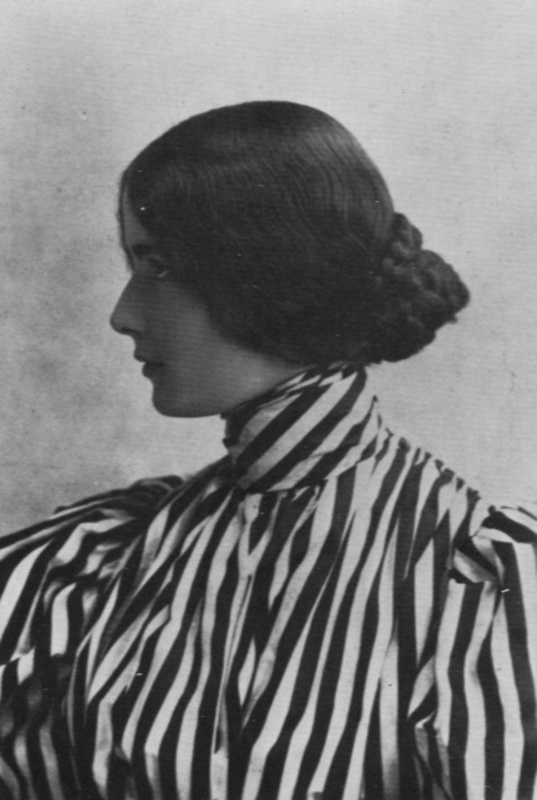 Whether she was at home or traveling Bernhardt always kept a large coterie of friends and admirers about her, as well as servants and a menagerie of exotic animals including a cheetah, a wolf, and a boa-constrictor. An alligator named Ali-Gaga died sadly after being fed too much milk and champagne. At her death in 1923 almost a half-million people lined the streets of Paris to bid their good-bye. Newspaper reports stated she died “peacefully, without suffering, in the arms of her son.” She is believed to have been 78 years old. 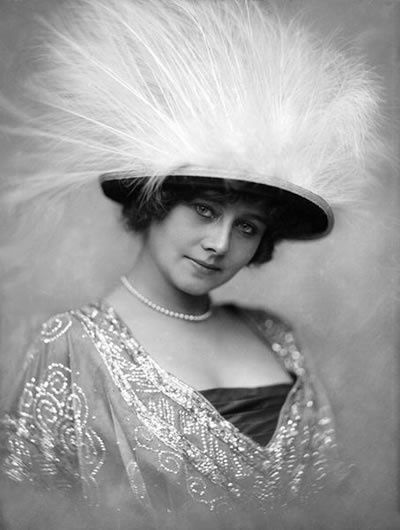 Through her lifetime Bernhardt had played some seventy roles in one hundred and twenty five productions in Europe, the United States, Canada, South America, Australia and the Middle East. She had also managed several theaters in Paris.